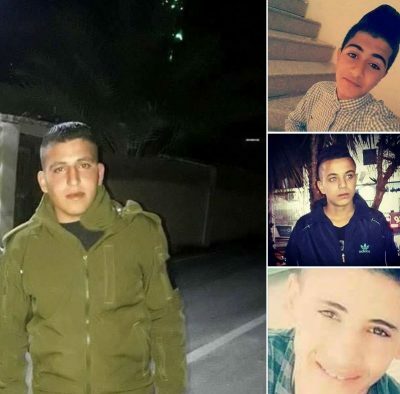 Israeli soldiers invaded, on Sunday at dawn, several Palestinian communities in the West Bank governorate of Jericho and abducted four Palestinians. The Palestinian Prisoners’ Society (PPS) said the soldiers invaded and searched many homes in Jericho, before abducting the four Palestinians. The PPS identified the abducted Palestinians as Karam Nasser ‘Ayed, ‘Ameed Rajeh Kteifi, Mo’in Tareq Eqeila and Hamza Jamal Hdeib. Furthermore, the soldiers confiscated a Palestinian truck and a bulldozer while preparing to conduct work aimed at paving a new agricultural road leading to Palestinian lands in Qabalan town, south of the northern West Bank city of Nablus.